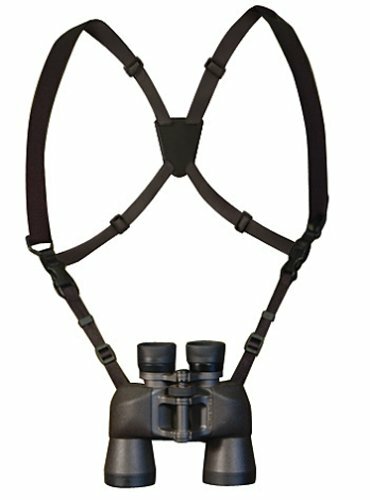 Lightweight Harness Takes The Weight Of User's Binoculars Off The Neck & Distributes It Evenly Across Shoulders. 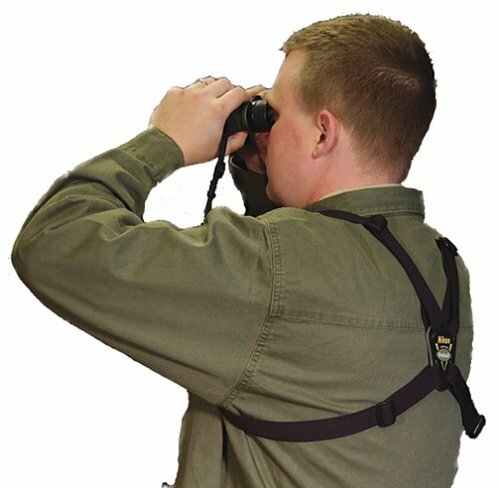 Binoculars Attach To Elastic Shoulder Straps With Secure, Quick-Release Connection. Self-Centering Back piece With Nikon(R) Logo.